Need Your Flat Roof Repaired? Call (503) 224-7663 now to schedule repair service or use our Contact Form. Flat roofs in Portland, Oregon can sometimes be problematic. With all the rainy weather, poorly installed flat roofs have leak problems and can cause long term headaches for the building owner. Water buildup can occur due to lack of maintenance, debris buildup, or changes in the roofing composition. And given exposure to the elements, a flat roof will degrade faster than any other roofing material. 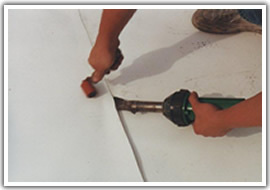 Dial One has been repairing roofs since we started doing business, and our crews have all the experience and knowhow to find and solve your flat roof problem. With one call, we will be out to investigate the source of your leak, the cause of the problems, and long term solutions to your flat roofing repair needs. Given our rainy Portland environment, virtually all flat roofs need repair and maintenance. Be it tree debris clogging the drains, ice breaking open the overlapping seams, or the sun causing the flat roofing materials to rapidly age, we have a solution to stop the roof form further deterioration and leaks. Roof leaks are a symptom of a larger problem, and can make a little problem in to a much larger one. Our flat roof repair service starts by investigation of the roof, what type of roof you have, and the estimated age of the roofing materials. Upon our determination, we then prescribe a long-term solution to maintain the roof, and stop immediate roof problems. 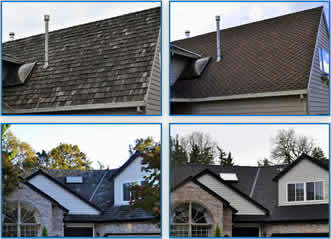 Give us a call to discuss the roof situation, and how we can help your roof maintenance protection needs. Dozens of positive customer reviews. View some of them here! 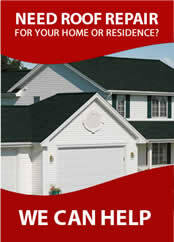 Your home is protected with the Owens Corning Preferred Contractor Roofing Warranty. Professional Workmanship & Qualify of Service. Improve air quality in your home by properly balancing the ventilation in the attic. The Safety for Our Employees and Clients.